A Long Island man has been accused of threatening to shoot an 11-year-old boy after losing a Fortnite: Battle Royale match, police say. Michael Aliperti, 45, has been charged with second-degree aggravated harassment and acting in a manner to injure a child aftr he allegedly threatened the Kings Park boy after the loss. Authorities say that Aliperti sent text and voice messages to the teen on Xbox after the loss. In them, he allegedly threatened to shoot the boy, possibly at his school. He was cuffed at his home on West Neck Road in Huntington around 1:30 a.m. Tuesday. He's set to be arraigned later Tuesday; attorney information for the man wasn't immediately available. Fortnite: Battle Royale is an online multi-player video game where up to 100 players are dropped on an ever-shrinking map either as teams of 50, squads of a smaller size or in a "The Hunger Games"-style free-for-all, with the last team or player standing named the winner. The game, which is available for all major consoles and mobile devices, has become a cultural phenomenon over the last year. "Fortniters" rejoice! 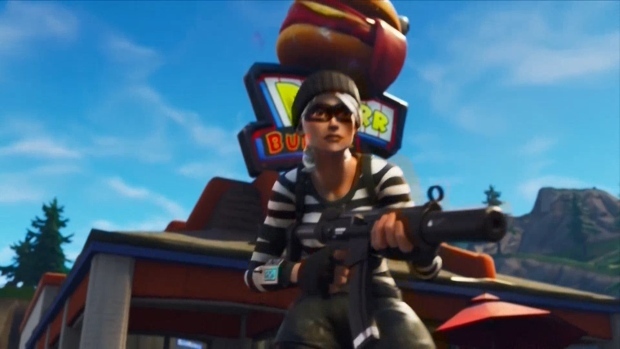 Season 5 of the hot video game "Fortnite" has been unveiled. It's called "World's Collide."